Summer time is approaching, which means picnic, pot-lucks, cook-outs, and bikini season. 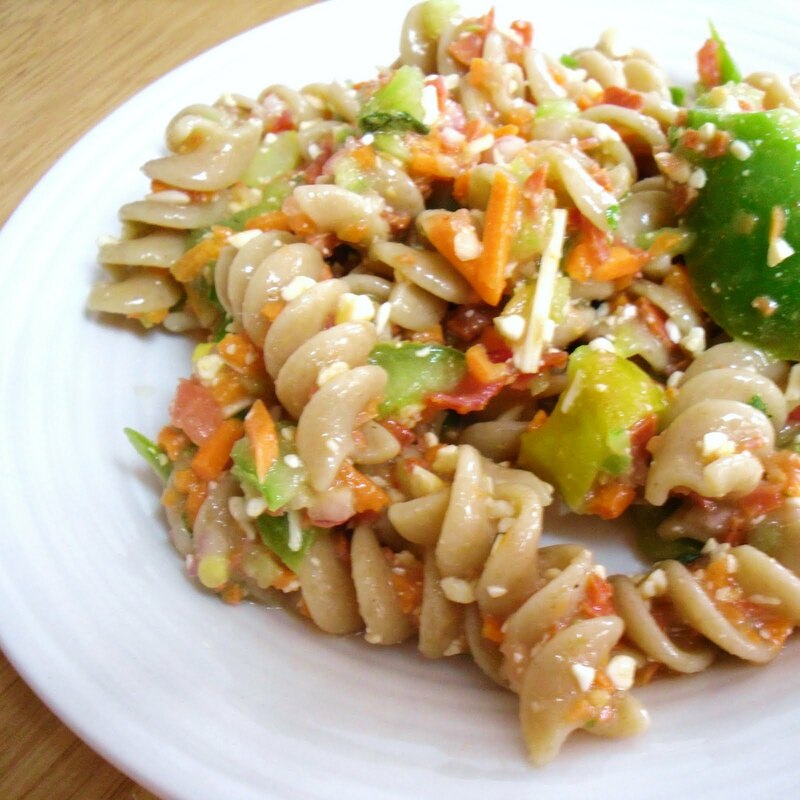 Don't just go to the grocery store and pick up a pound of pasta or macaroni salad when you can make it at home and know exactly what ingredients are going into the salad and what fat and calories you are keeping out. 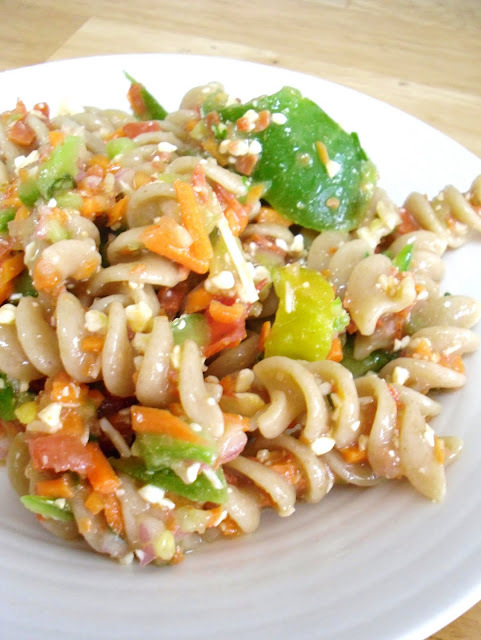 By mixing distinct flavors of Italy and Greece, you'll have a delicious, fresh tasting Mediterranean pasta salad that's quick, easy, budget-friendly and healthy. 1. Cook pasta according to package directions, add salt to water before boiling. 3. Once pasta cooked, drain and rinse with cold water. 4. Add pasta to other ingredients in mixing bowl and top with Italian salad dressing and fresh cracked pepper. Toss to coat. 5. Refrigerate for at least 30 mins before serving.